This picture riddle to find the error in the photo is taken from Beleaguered Castle Solitaire Card Game. 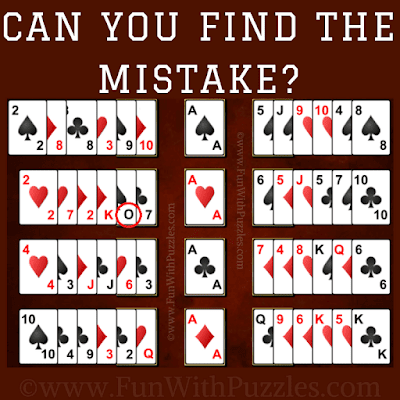 In this puzzle photo there are series of cards which contains one very obvious error. 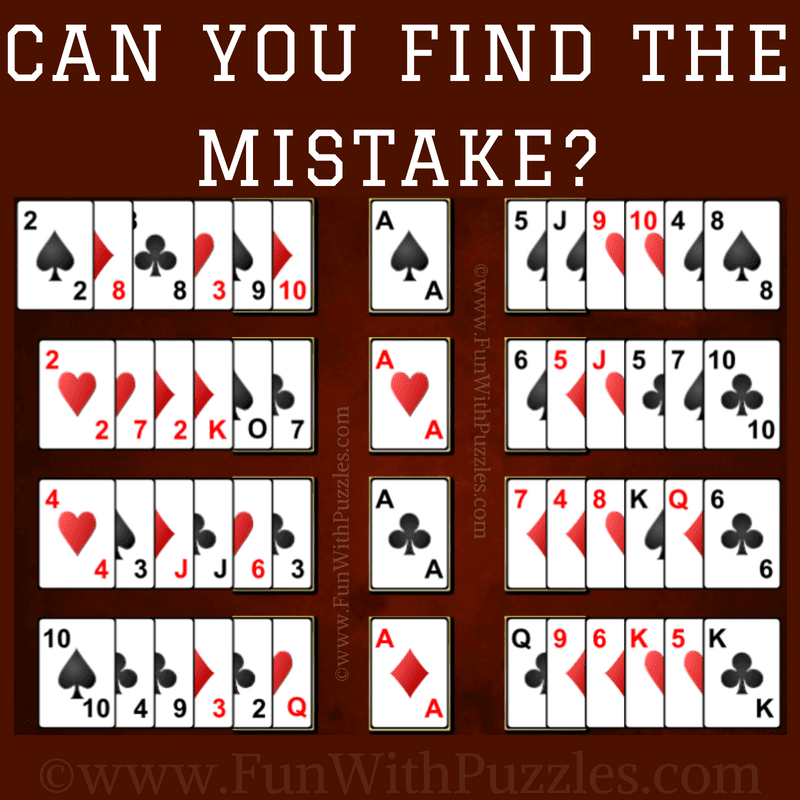 Do ignore the rotation of the cards while trying to find this error in this photo. Lets see if you have genius observation skills to find the error in this photo? Can you find the error in the Card Game Photo? Answer of this "Picture Riddle: Find The Error in The Photo", can be viewed by clicking on button. Please do give your best try before looking at the answer.